February 18, 2007 was the day I died. I was sixteen years old at the time and my best friend had just gotten his first car. It was a used, worn, black Camaro. The possibilities were endless. We tossed around a few ideas but nothing seemed good enough. All we wanted was one night free from parents, rules, and responsibilities. Just one night to really feel alive. What I intended on being a fun, energetic night quickly escalated into the most horrifying moment of my life when I was ejected from the vehicle on our drive home. My skull collided into the pavement and my lungs stopped taking in air. My comatose body was nearing its final seconds. A journey through hospitals and rehabilitation clinics is the reason I’m still alive. During my days as a patient, I had to relearn how to walk, talk, sleep, and think. It felt like I was caged inside of a broken body that just didn’t have the strength to recover or a will to live. My family had to learn how to cope with my disabilities. Many of my friends moved on and left me in their past. My whole world came crashing down and all they could do was watch. Everyone had to adjust. But more importantly, I had to accept living my life with a traumatic brain injury. 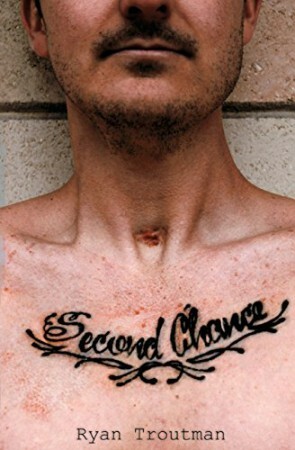 Second Chance is a true story of how I escaped a closing casket and victoriously fought my way back to the person I am today.